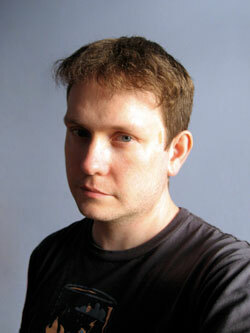 James Thomson's web page - the home of DragThing and other fine TLA Systems productions. I used to work as a software engineer for a well known computer company, but I'm now working full time for my company TLA Systems, writing DragThing and other Macintosh software. I live and work in my home town of Glasgow in Scotland. I worked until the end of 1996 as a systems programmer at the Department of Computing Science at the University of Glasgow. I graduated from the department with an honours degree in computing science in the summer of 1994, and was employed as part of the Systems Development Group. Thanks to Pete and the rest of the SDG for keeping my web pages alive in my absence, until I got my own server. Mac and the Mac logo are trademarks of Apple Inc., registered in the US and other countries.